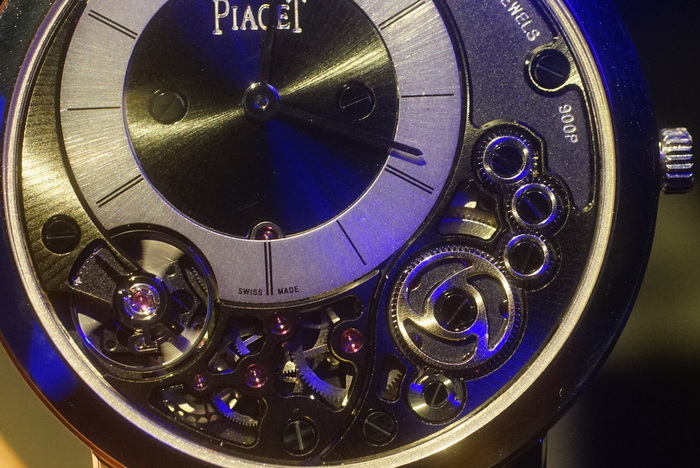 SIHH 2014: Has The Piaget Altiplano 900P Reached The Theoretical Limits Of What’s Possible? The question that is always asked after every new 100m world record, is: Have we as humans reached the limit of our physical capability? Has that theoretical wall been reached, where no human, no matter the skill or hard work, can exceed that final number? 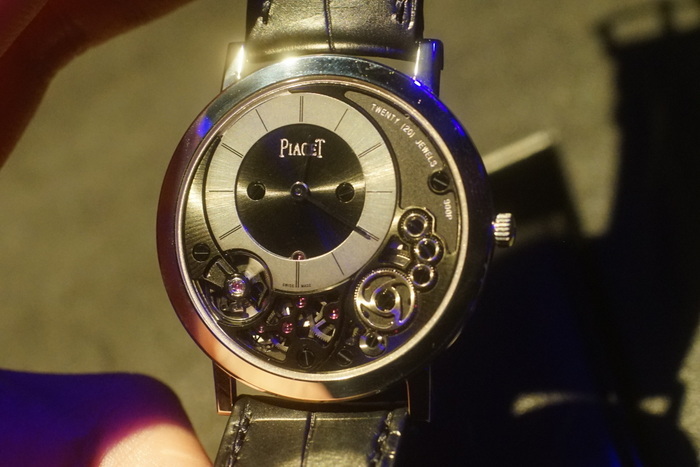 This was the question I was pondering when the Piaget Altiplano 900P was placed in my hands. Piaget of course, are the masters of the Ultra Thin watch, having dedicated themselves to the pursuit of this particular horological niche throughout their history. 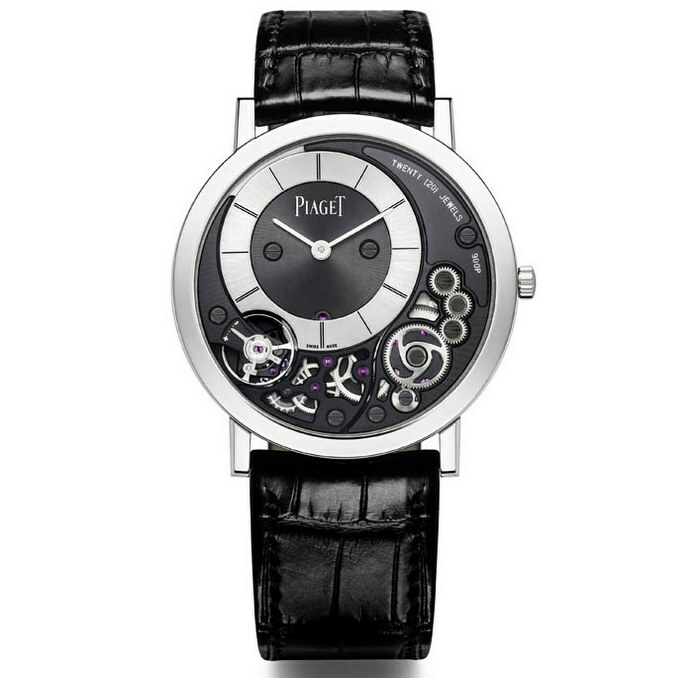 The brand holds world records for thinness in up to 12 categories, and for this, there is no denying that despite other brands introducing ultra thin watches from time to time, Piaget have shown that their focus has reaped rewards, and also what can be done when a movement, stripped to the bare essentials, can produce a wonder of mechanical beauty. 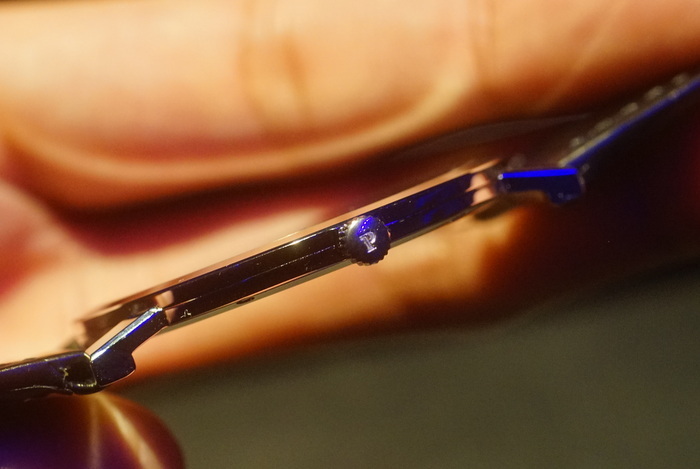 Yet despite still holding the world record for the thinnest automatic watch ever (Calibre 1208P in the Altiplano Automatic), their thunder in the manual wound category had stolen last year by another member of the Richemont stable, Jaeger-LeCouture, with the Master Ultra Thin Jubilee with a case width of 4.05mm. 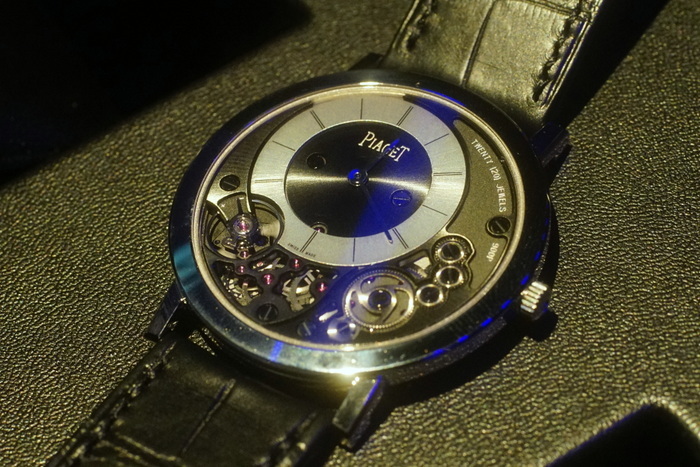 With the 900p shown at SIHH 2014, the matter is once again settled, and Piaget have reclaimed the title and the world record. Key to this announcement though is the truly innovative way that they have gone about doing it. Here are some numbers: the movement and case totals a thickness of 3.65mm, beating the aforementioned Master Thin Ultra Jubilee by 0.40mm. 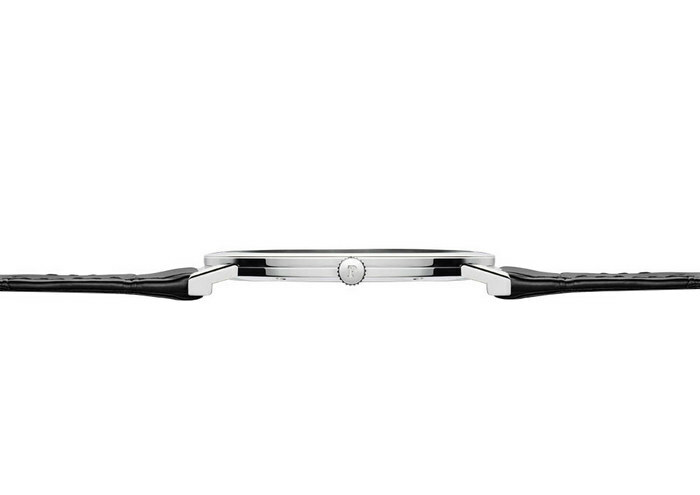 The reason why I cannot give you the thickness of the movement itself answers the question of what innovations have gone into making the 900p even thinner that any other hand-wound watch. 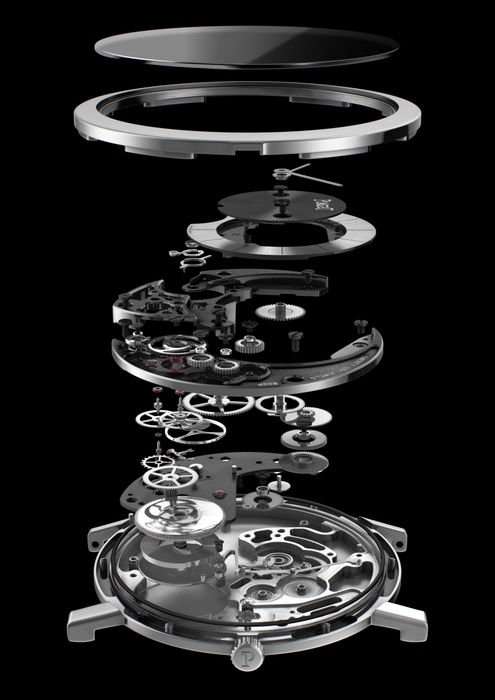 The case and the movement are integrated, meaning that the parts of the movement are placed directly on the case itself. There is no case-back in a traditional sense as it is all one piece. Then the off-centre dial is recessed into the space between the visible bridges, and the most ingenious innovation of all, laying out the entire gear train in the space vacated by the dial, and showing everything from mainspring to balance wheel in one curving line. This is watchmaking that manages to combine technical goals with aesthetic considerations. Close up of the visible gear train on the dial. Is this a skeleton watch? Well, not in a traditional sense, even though you can see the entire gear-train. In fact, the way that this watch is put together really defies any category. 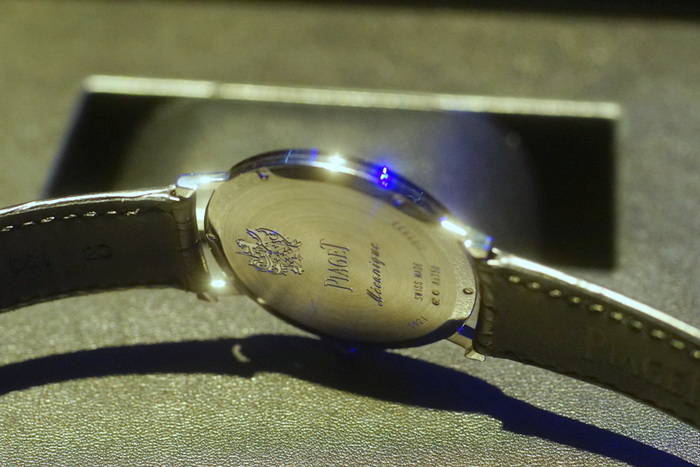 One thing is certain though, at the case width of 3.65mm, the crown of thinnest hand wound watch in the world has certainly been reclaimed by Piaget. This number in fact of 3.65mm coincides with the height of 3650m of the Altiplano plateau in west-central South-America, another detail that ties in to the name of the Altiplano range. Hold this watch in your hand, and the wonder of how it can possible exist will grab you. Then look closer into how it was all achieved, and really then, it is no surprise that this was certainly one of my personal highlights at the show. At a rationally sized size width of 39mm, this is a dress watch that keeps to proper codes, yet has enough technical drama on the dial to induce horological conversations at your next formal event. 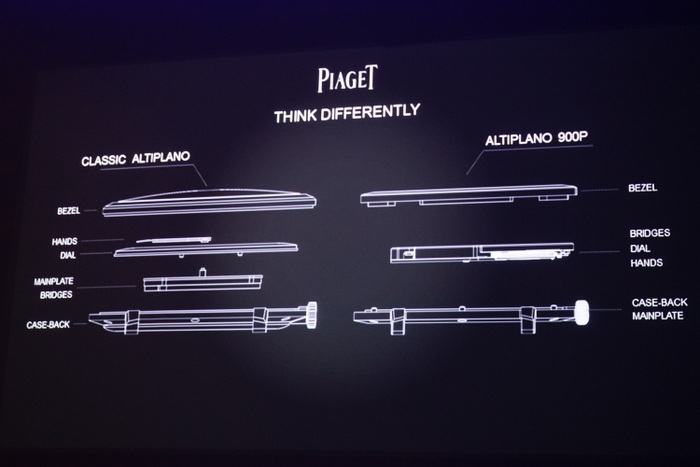 The thinness of the 900P defies belief. The question now remains. Will this record ever be beaten? 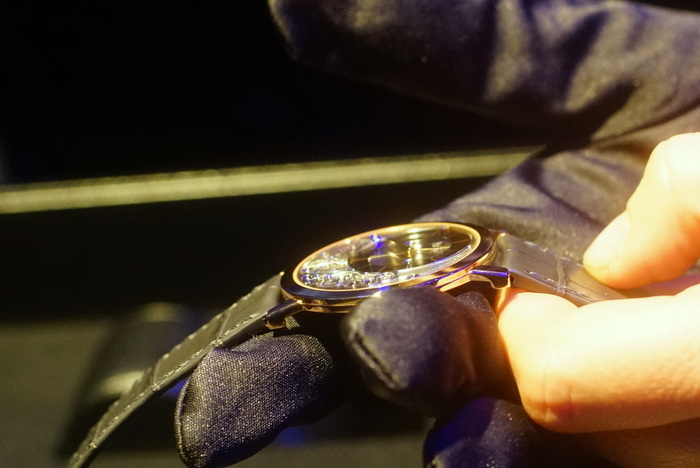 Given the extreme technical solutions that were sought to make this watch possible, anyone, (including Piaget) who can top this feat will achieve something that is close to superhuman!